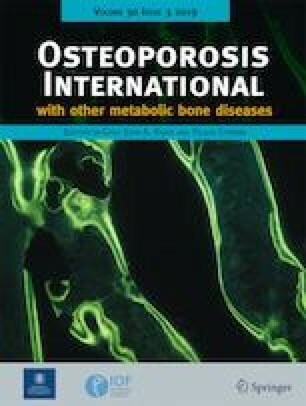 To scan novel candidate genes associated with osteoporosis, a two-stage transcriptome-wide association study (TWAS) of bone mineral density (BMD) was conducted. The BMD-associated genes identified by TWAS were then compared with the gene expression profiling of BMD in bone cells, B cells, and mesenchymal stem cells. We identified multiple candidate genes and gene ontology (GO) terms associated with BMD. 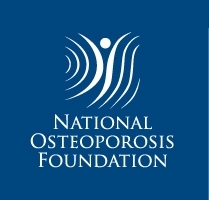 Osteoporosis (OP) is a metabolic bone disease characterized by decrease in BMD. Our objective is to scan novel candidate genes associated with OP. A transcriptome-wide association study (TWAS) was performed by integrating the genome-wide association study (GWAS) summary of bone mineral density (BMD) with two pre-computed mRNA expression weights of peripheral blood and muscle skeleton. Then, another independent GWAS data of BMD was used to verify the discovery results. The BMD-associated genes identified between discovery and replicate TWAS were further subjected to gene ontology (GO) analysis implemented by DAVID. Finally, the BMD-associated genes and GO terms were further compared with the mRNA expression profiling results of BMD to detect the common genes and GO terms shared by both DNA-level TWAS and mRNA expression profile analysis. TWAS identified 95 common genes with permutation P value < 0.05 for peripheral blood and muscle skeleton, such as TMTC4 in muscle skeleton and DDX17 in peripheral blood. Further comparing the genes detected by discovery-replicate TWAS with the differentially expressed genes identified by mRNA expression profiling of OP patients found 18 overlapped genes, such as MUL1 in muscle skeleton and SPTBN1 in peripheral blood. GO analysis of the genes identified by discovery-replicate TWAS detected 12 BMD-associated GO terms, such as negative regulation of cell growth and regulation of glycogen catabolic process. Further comparing the GO results of discovery-replicate TWAS and mRNA expression profiles found 6 overlapped GO terms, such as membrane and cell adhesion. Our study identified multiple candidate genes and GO terms for BMD, providing novel clues for understanding the genetic mechanism of OP. M. Ma and D.-G. Hang contributed equally to this work. The online version of this article ( https://doi.org/10.1007/s00198-019-04958-z) contains supplementary material, which is available to authorized users. This study was supported by the National Natural Scientific Foundation of China (81673112) and the Key Projects of International Cooperation among Governments in Scientific and Technological Innovation (2016YFE0119100).